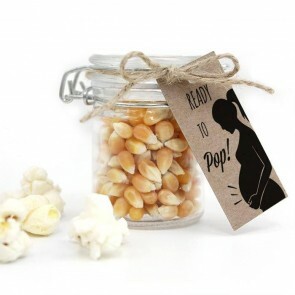 She’s ready to pop! A fun gift to give at the end of your baby shower is the Popcorn Weck jar. The Weck jars are made out of glass and filled with popcorn kernels. 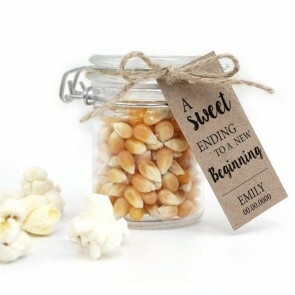 The receiver of the favour can make their own delicious popcorn and be reminded of the baby shower at the same time! 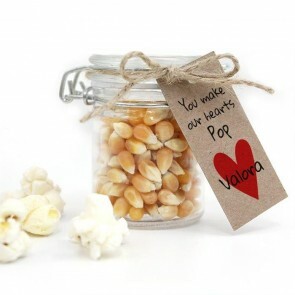 The Popcorn Weck jars have a thank you note attached to it which you can personalize to your own taste. Start personalizing your baby shower favours by pressing the ‘Design Your Own’ button. 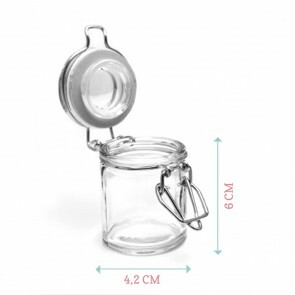 If you have trouble working the online design tool, please don’t hesitate to contact our designers for help, or read the online design tool instructions. The Popcorn Weck jars can be ordered from 20 pieces.